G by Guess are adding two single-speed Dutch bikes to their brand, with one style for men and women. 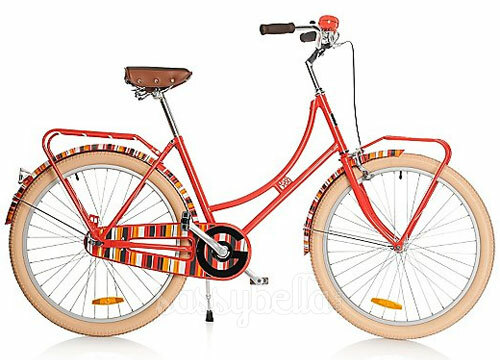 Launched in time for summer in America, the G by Guess bikes feature a step-through frame, balloon tires, a center kickstand, custom stitched comfort grips, two-toned button saddle and a big orange bell. And it costs only $399!